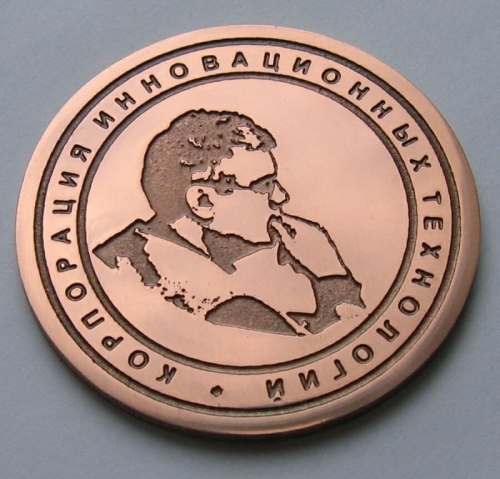 Gift medal with portrait for employee. The text along the edge is: “Innovative Technologies Corporation”. The text in the center is “Everything will be all right”. Yandex Money Credit card WebMoney 100% prepayment + shipping costs. You send text and photo to me. I make sketch and send it to you for approval. When medal is completed I send its photo to you. If you like it I send it to you.